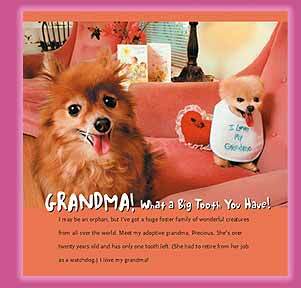 Millions of fans around the world continue to howl with laughter and amazement at Mr. Winkle and his parade of personas. Still, this adorable little changeling's most appealing identity remains his everyday self. 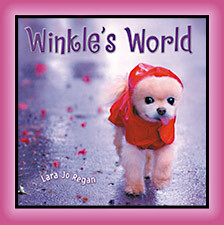 Winkle's World offers a behind-the-scenes look at this beloved mystery creature and burgeoning international superstar. 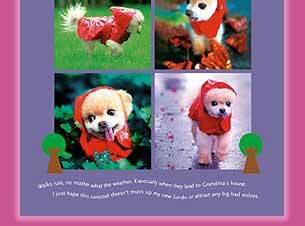 Through dozens of never-before-seen photos and text (pawed by Mr. Winkle himself), the book follows the author as he sleeps, eats, visits friends, causes mob scenes, and simply goes on occupying the wondrous little dimension that is Winkle¹s World. 34 pages. Photographed by Lara Jo Regan. Published by Random House.